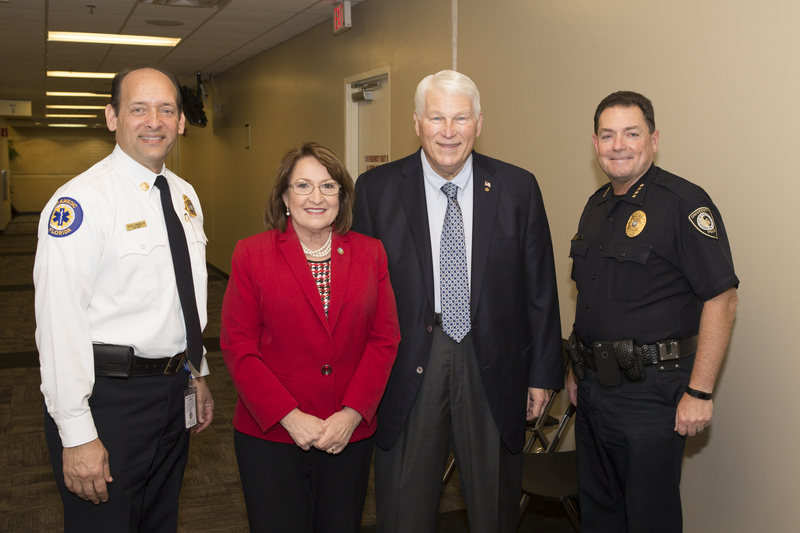 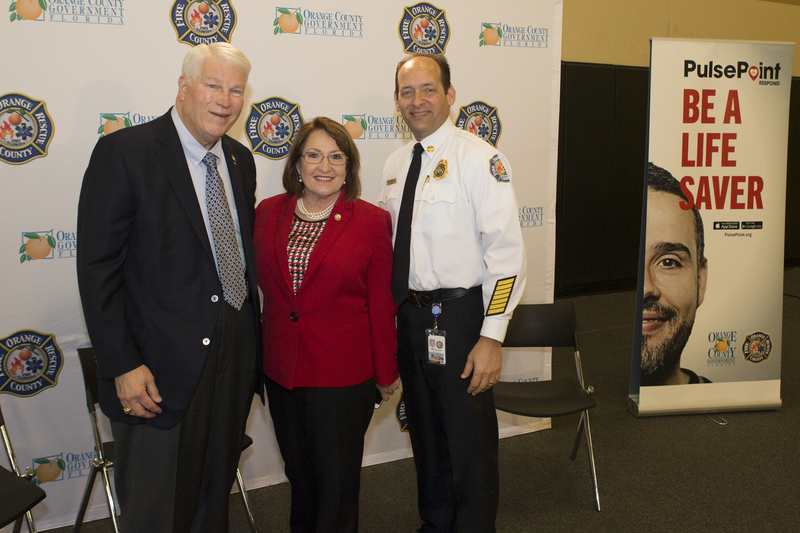 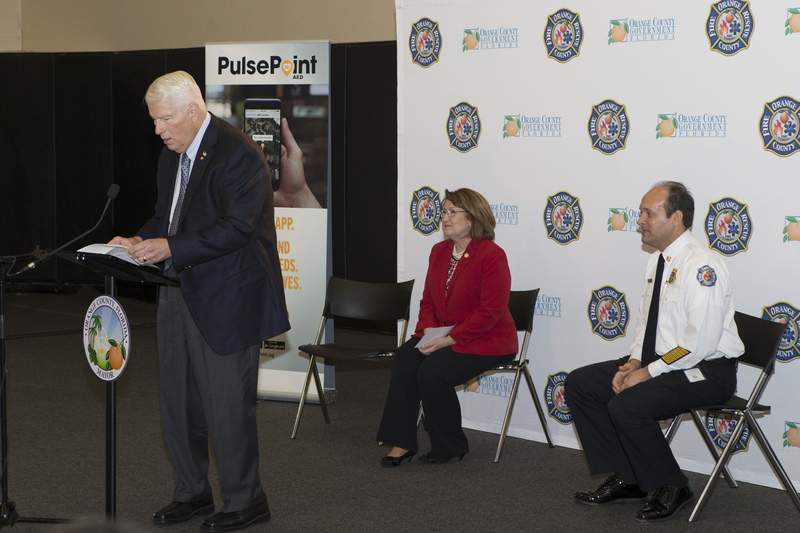 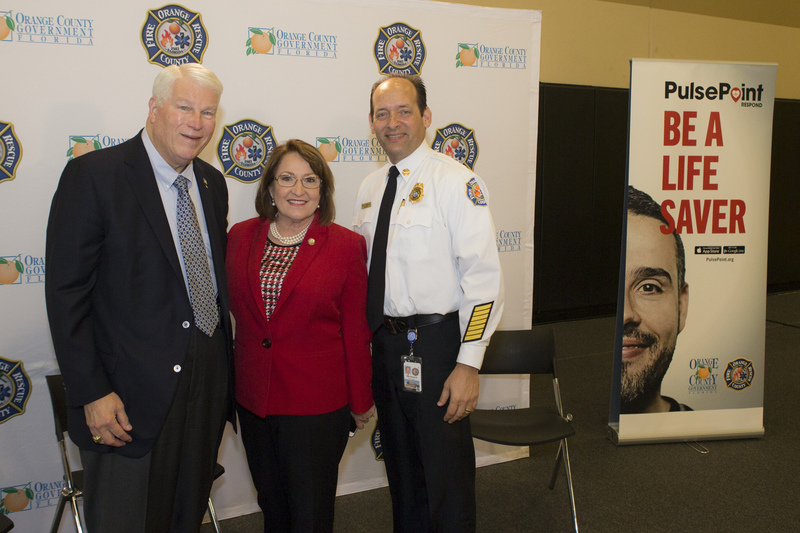 University of Central Florida President John C. Hitt, Orange County Mayor Teresa Jacobs and Orange County Fire Chief Otto Drozd III gather at the University of Central Florida to launch the PulsePoint apps program. 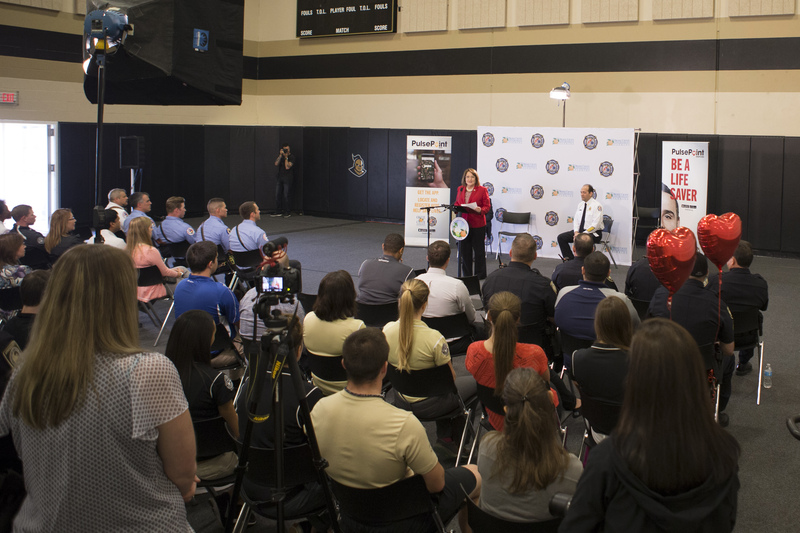 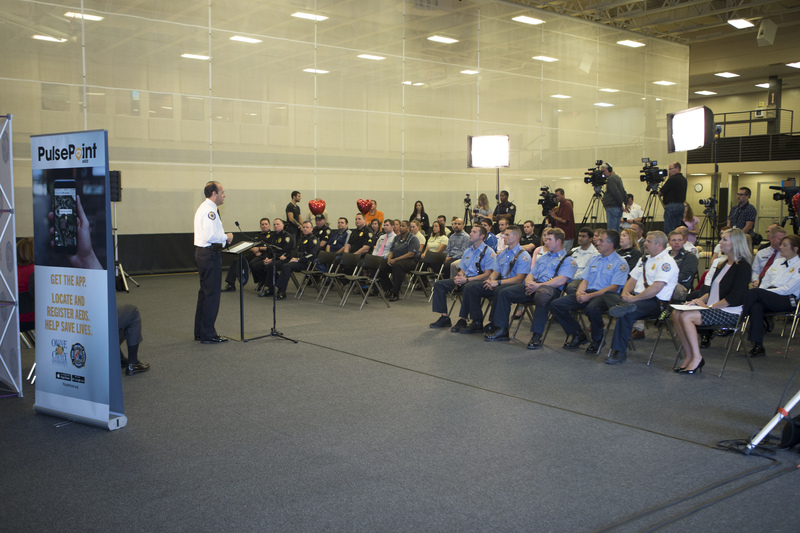 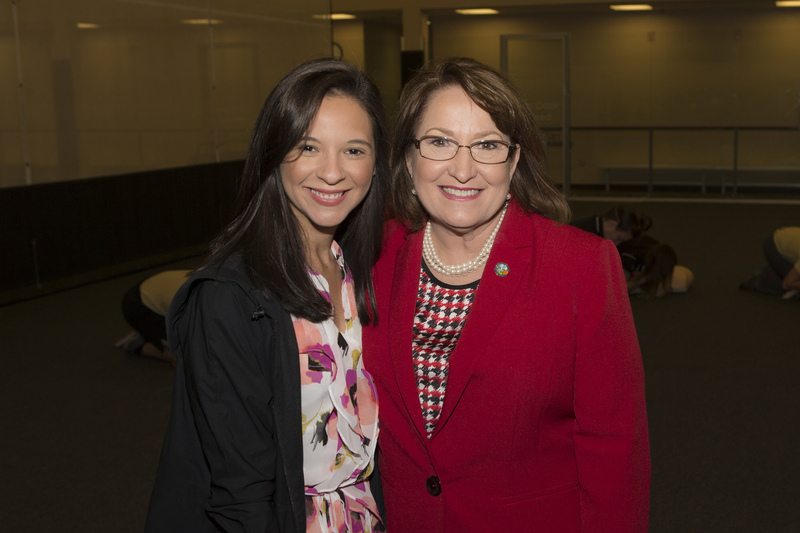 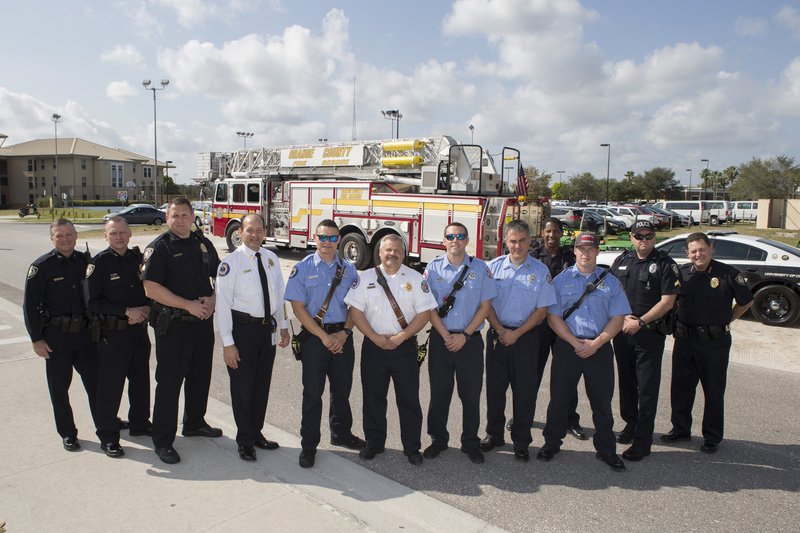 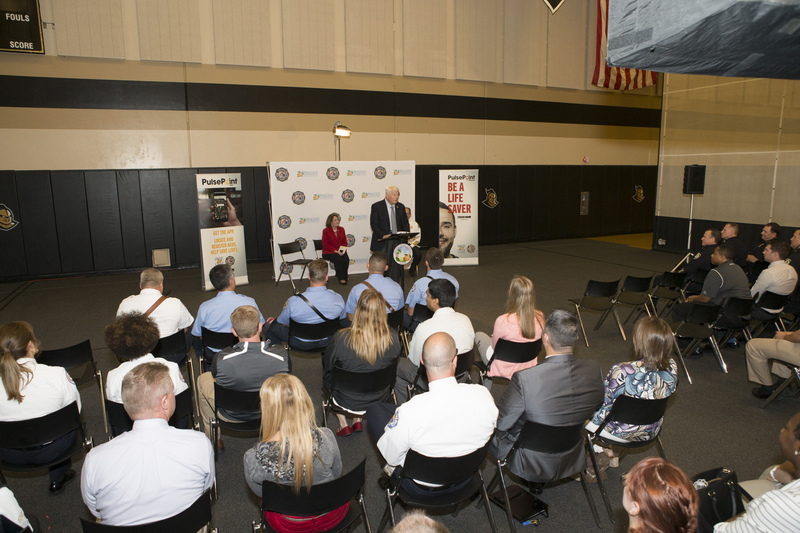 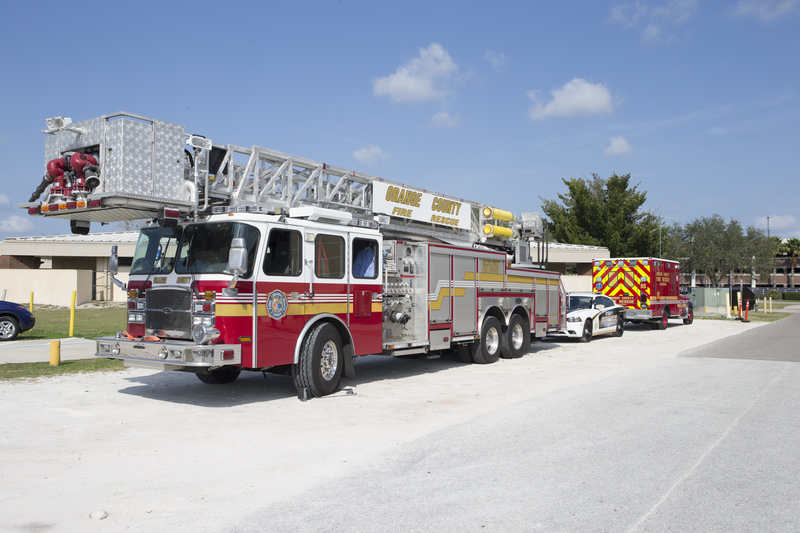 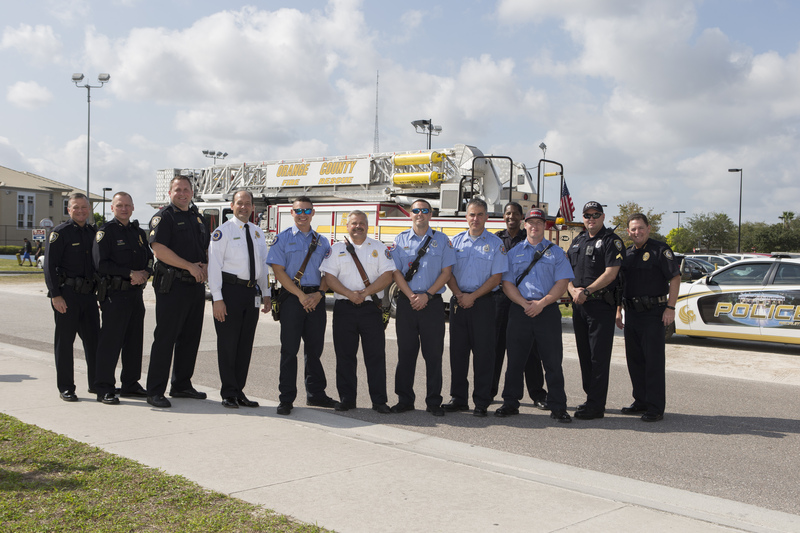 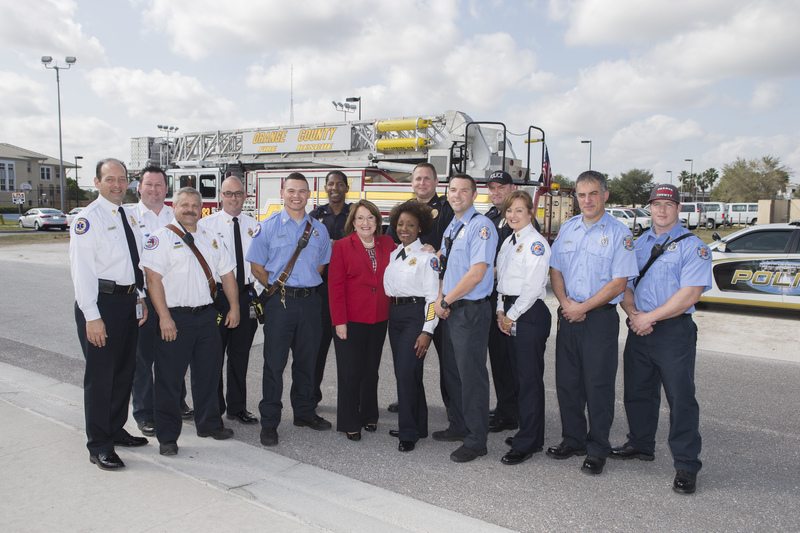 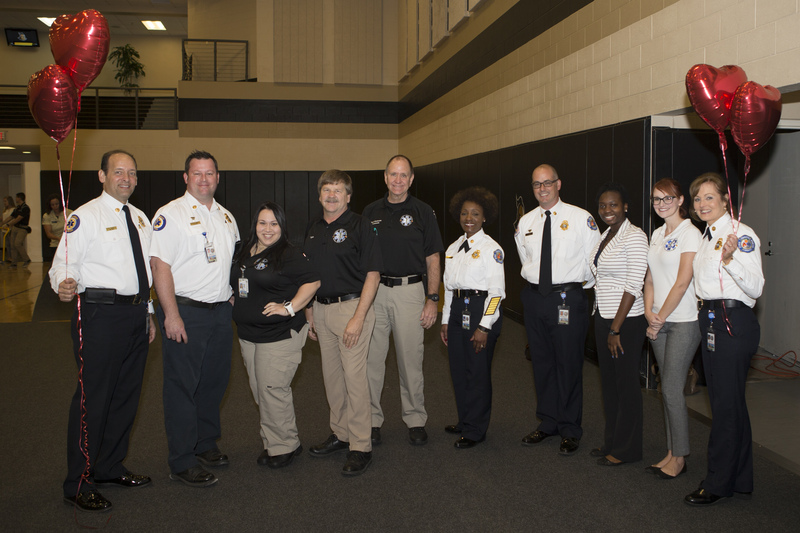 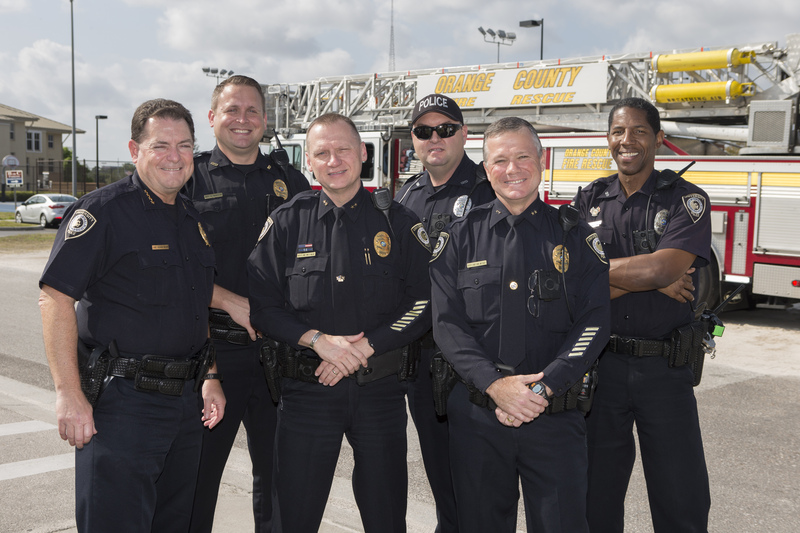 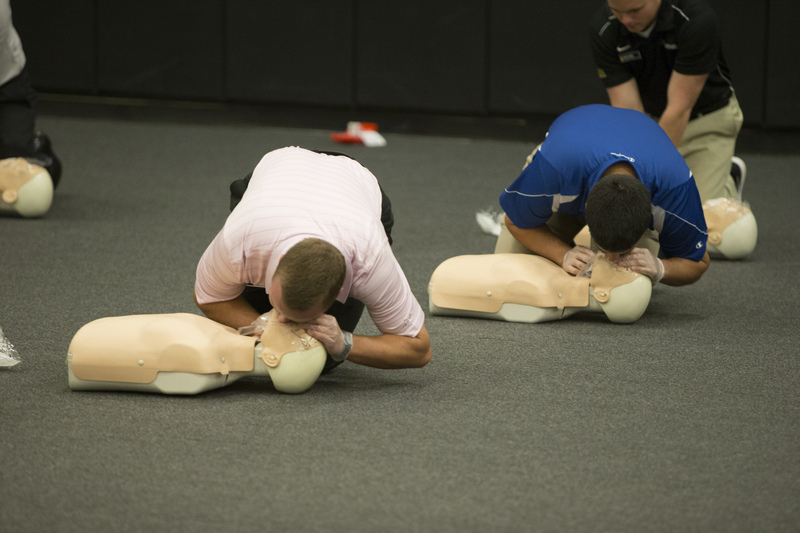 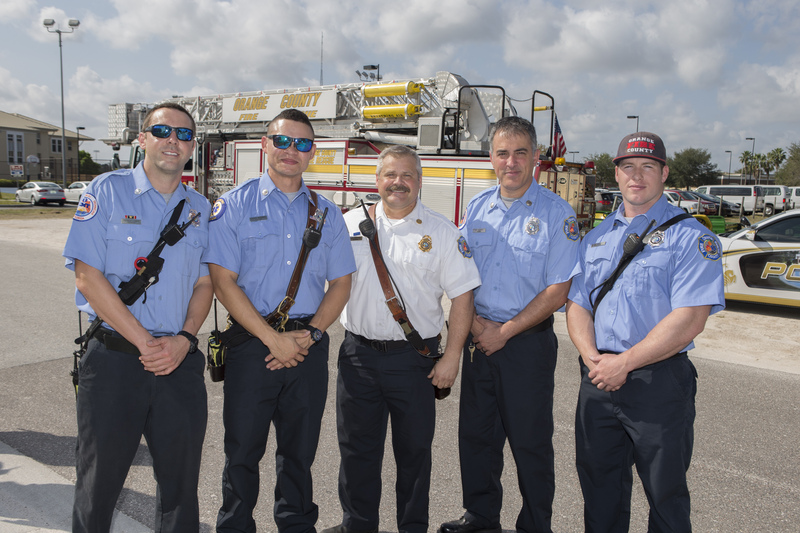 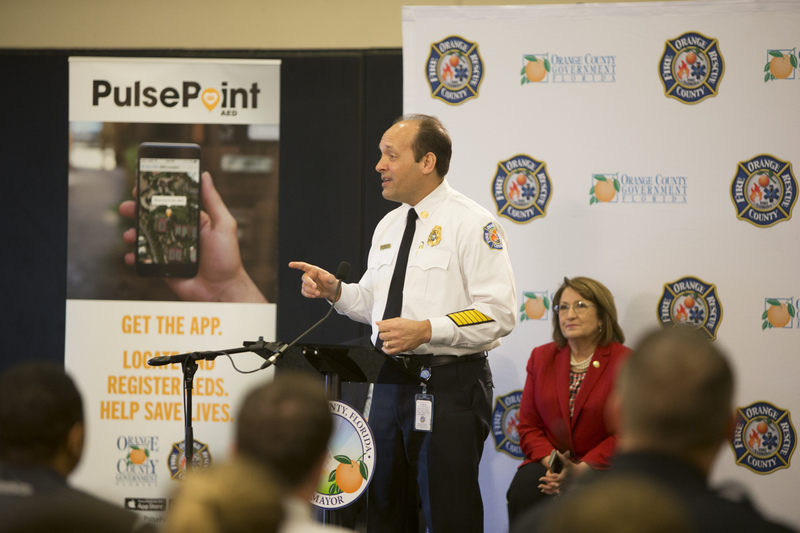 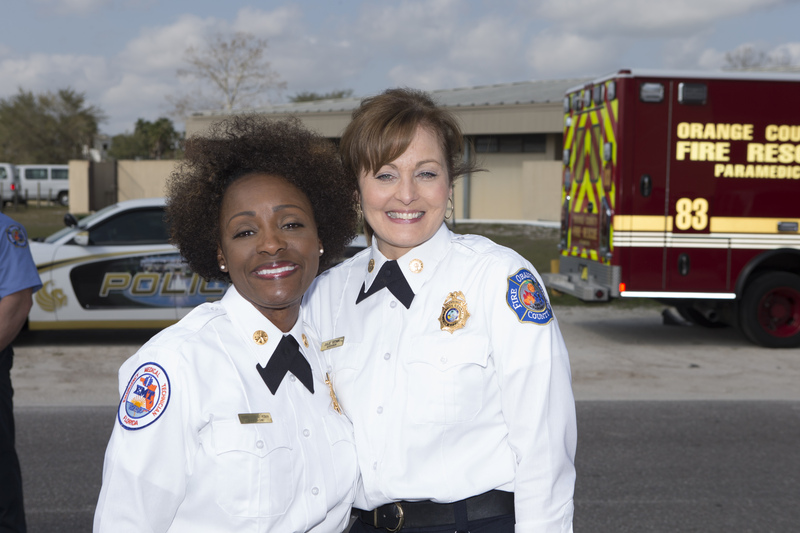 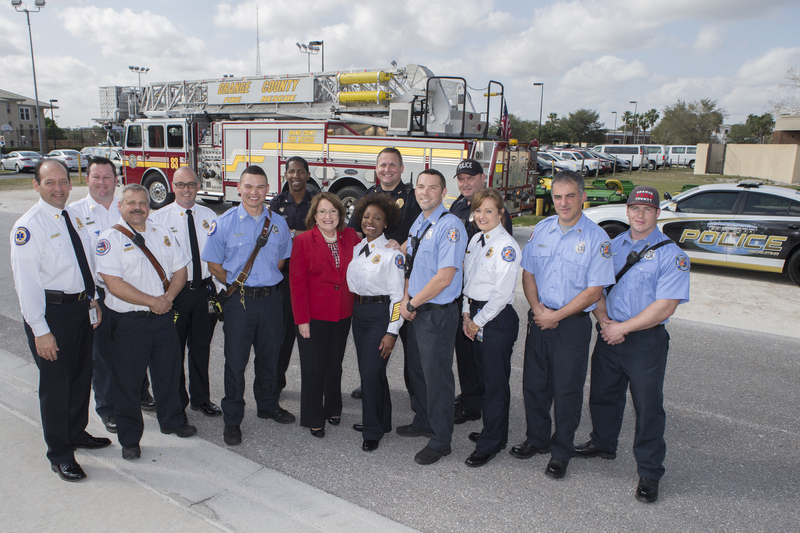 On Valentine’s Day during National Heart Month, Orange County Mayor Teresa Jacobs and Orange County Fire Rescue (OCFR) partnered with the University of Central Florida (UCF) to launch two lifesaving apps – PulsePoint Respnd and PulsePoint AED. 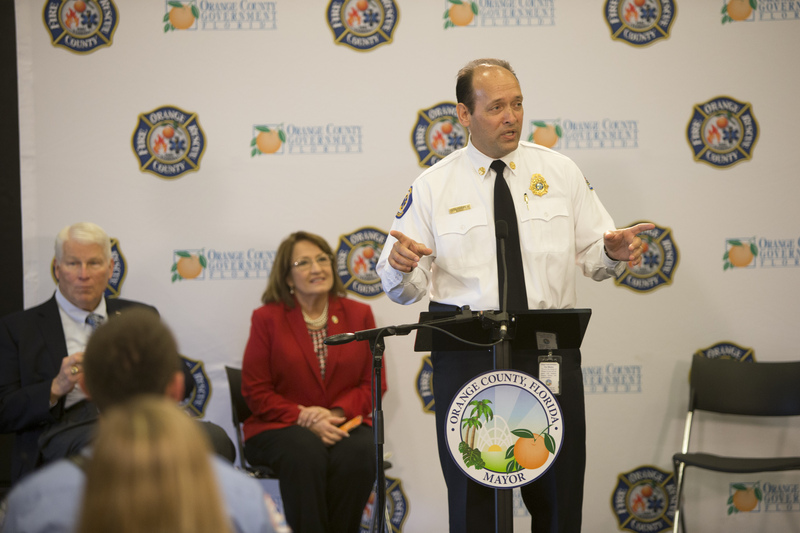 The apps support first-responding agencies like OCFR by encouraging CPR-trained citizens to respond to sudden cardiac arrest incidents as emergency crews are dispatched. The partnership to launch the technology at UCF was a natural fit. 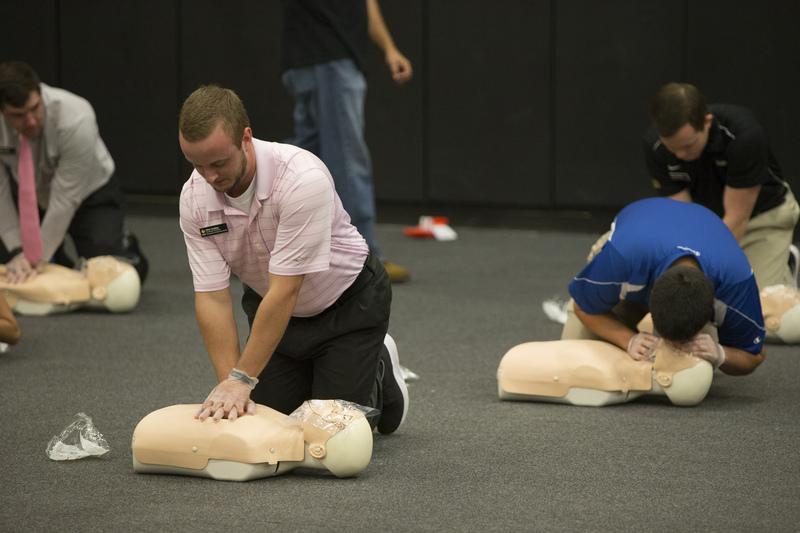 In 2015, the UCF community was devastated by the loss of Michael Namey, a student who collapsed on campus and later died after suffering a sudden cardiac arrest. 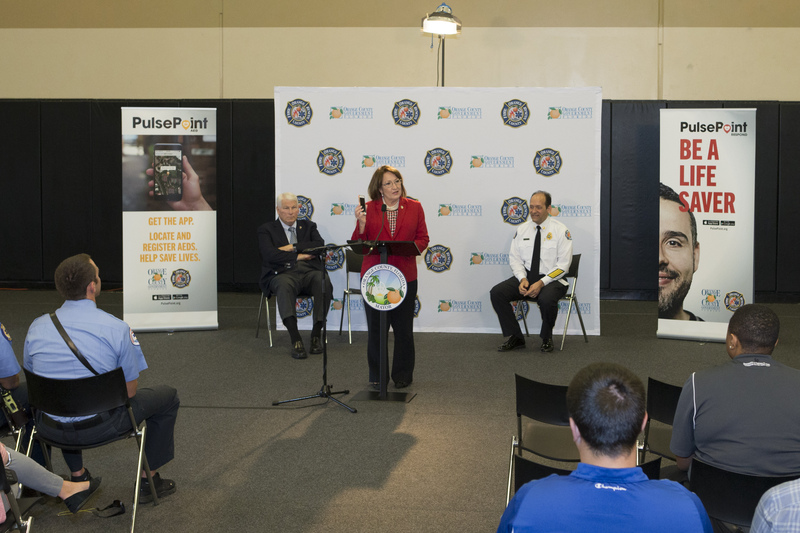 PulsePoint Respond notifies users through their mobile device that someone nearby is in need of CPR. 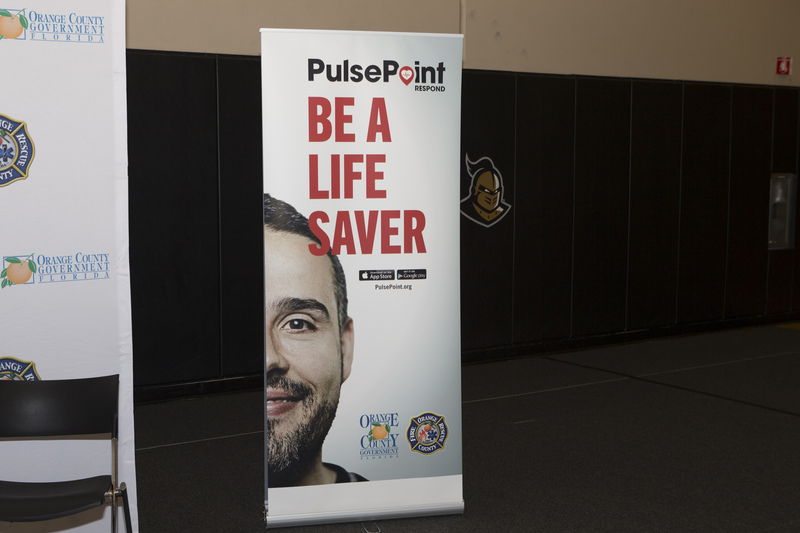 The application also directs them to the closest publicly-accessible automated external defibrillator (AED), all while emergency crews are responding to the scene. 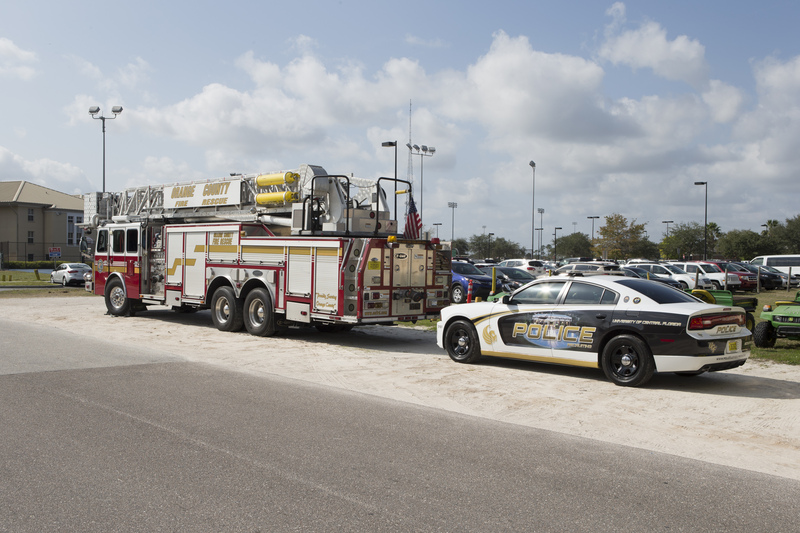 The notification can only be sent by a participating 911 system, which has also dispatched emergency personnel. 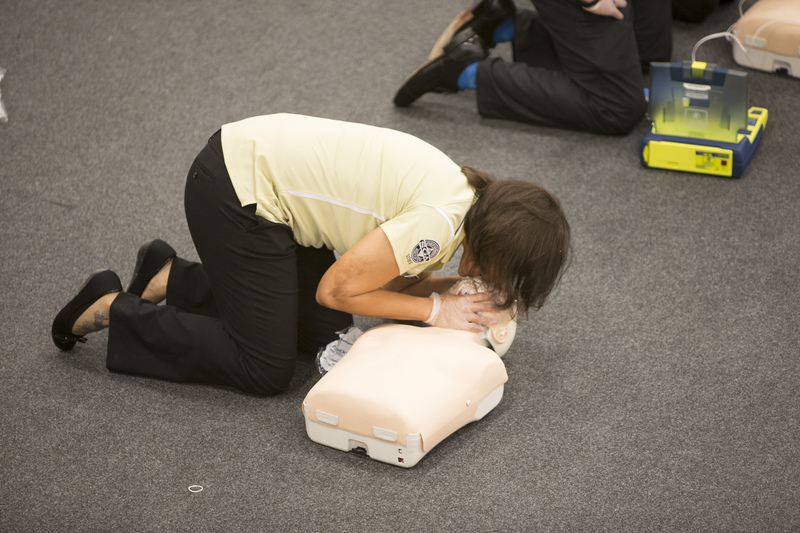 Notifications are only sent when an individual is in cardiac arrest in a public area. 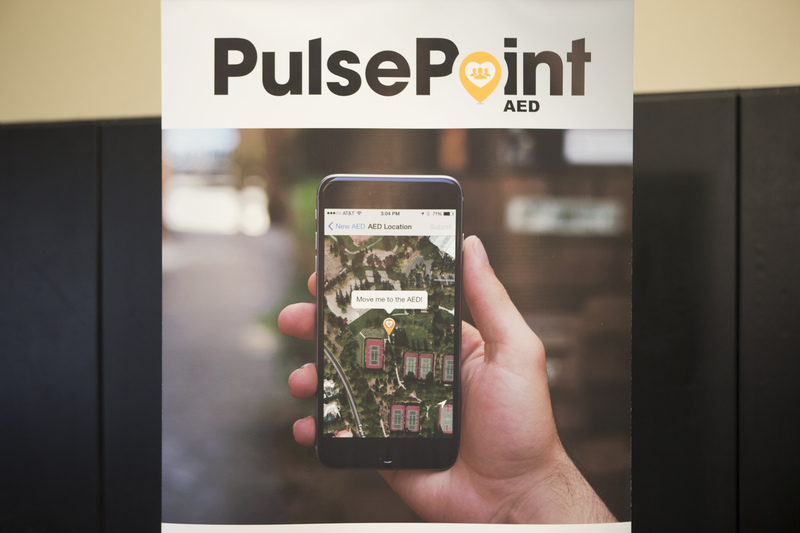 PulsePoint AED enables users to upload a photo and mapped location of an AED, which is then available to all users during an emergency. 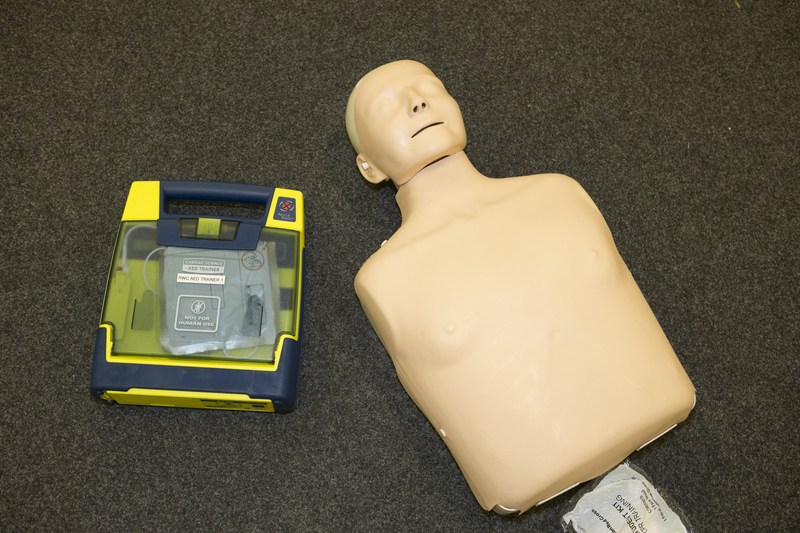 An AED is a device that checks an individual’s heart rhythm when experiencing cardiac arrest and then delivers a potentially life-saving electric shock to restore the individual’s normal heart rhythm, Today’s AEDs are very easy to use, with many designed to provide clear verbal step-by-step instructions to the user. 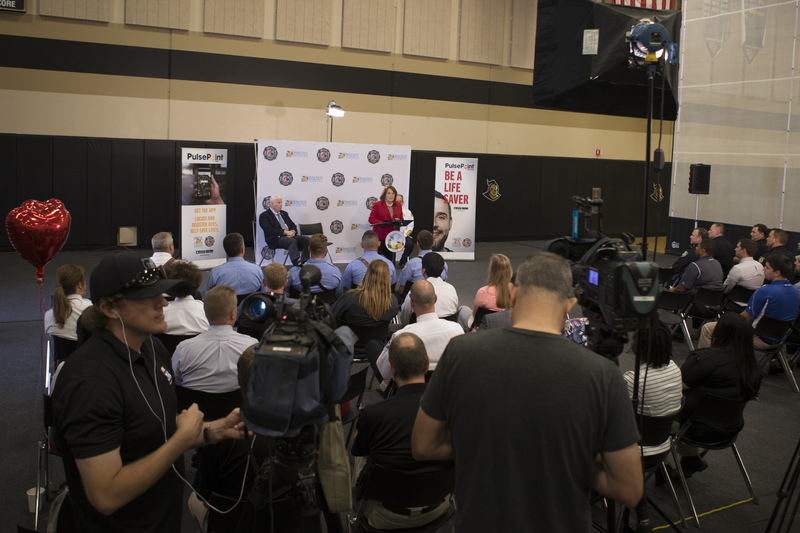 Both applications are available to download for free on mobile devices. 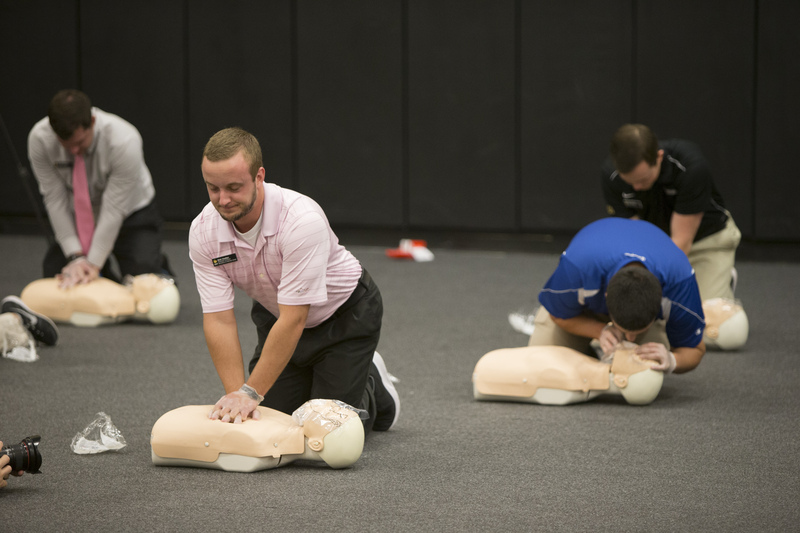 The apps are the first line of hope for individuals experiencing cardiac arrest. 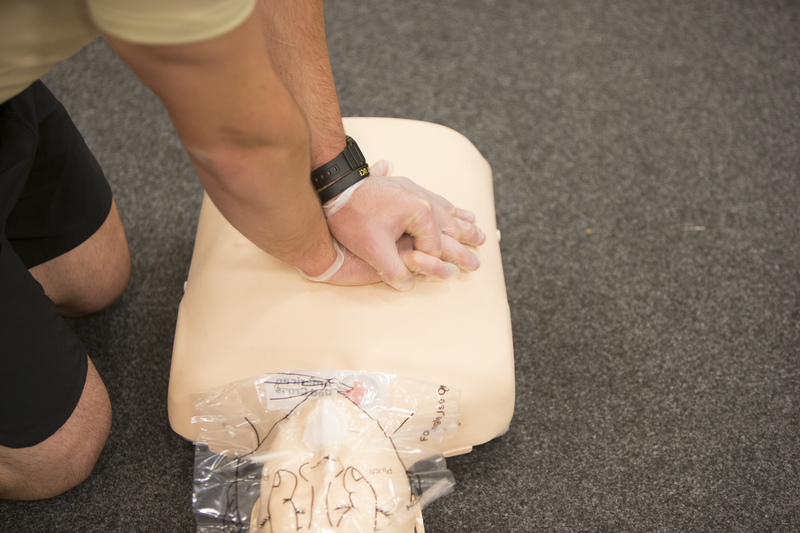 Now, users who are within walking distance of the individual in cardiac arrest can be alerted and respond within seconds as emergency crews navigate to the scene. 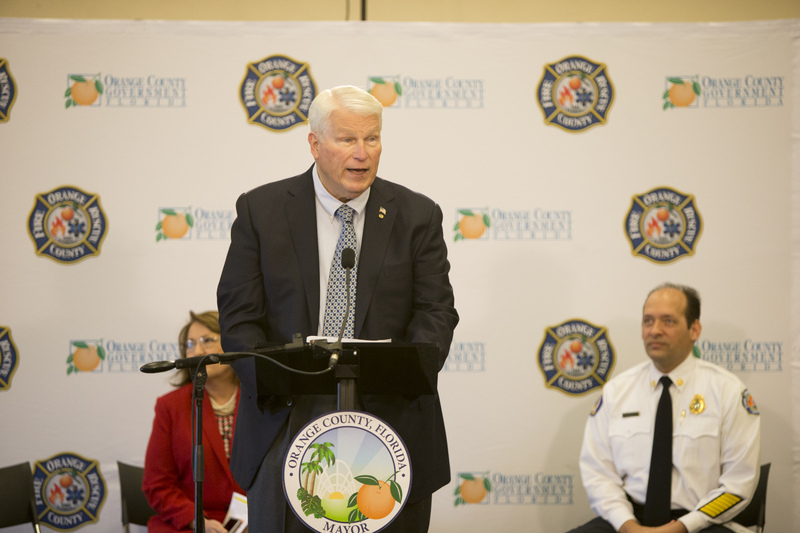 Pulse Point Response and Pulse Point AED were funded through Orange County’s Office of the Medical Director. 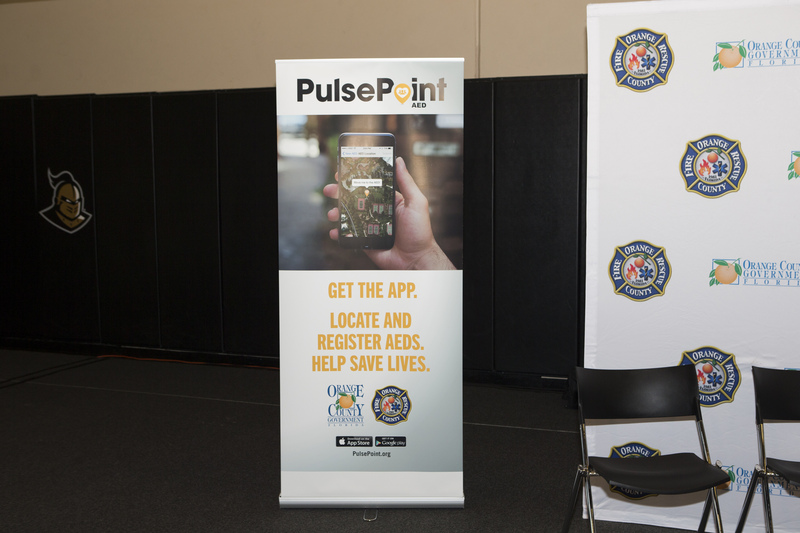 For more information about PulsePoint visit www.pulsepoint.org. 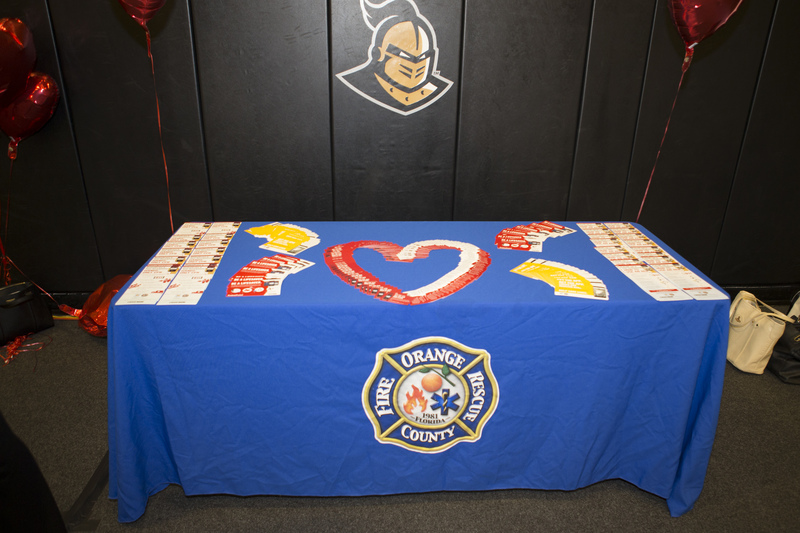 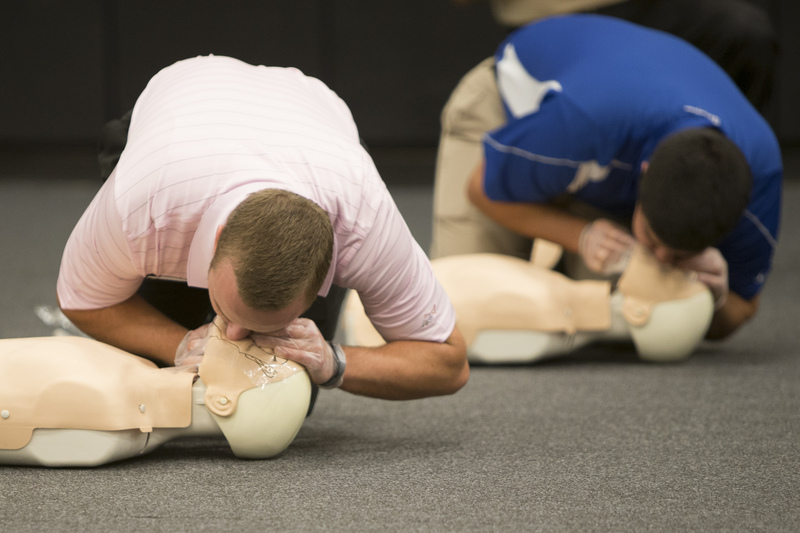 To learn CPR, contact your local American Heart Association or Red Cross chapter, or request CPR training from Orange County Fire Rescue.